This page contains easter eggs for the disc Poison - Greatest Video Hits (DVD, Region 1). From the main menu, select "Bonus Videos" then select the skull at the bottom of the screen. 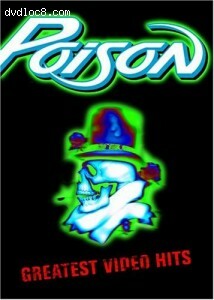 You will be treated to a montage of clips from Poison's 1999 and 2000 world tours.